We think it’s special and feel we will deepen your journey. We hold space for everyone, regardless of how they arrived, or where they are on their journey. We form lasting friendships outside the studio. We not only explore the physical yoga poses, but ethics and behavior, self-discipline and faith, breathing, awareness, meditation and reflections on ancient yogic texts. 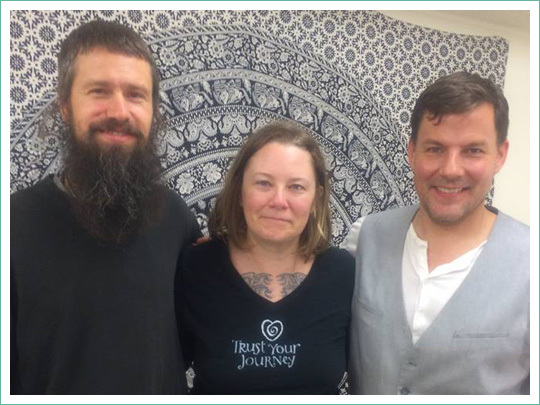 We learn about body work, nutrition, natural health and holistic wellness. Which Class – Which Teacher? Your first class should be about finding a teacher you connect with before they even start teaching the class. Choosing the best class comes down to how you feel about it. There are so many types of classes and teachers it’s best to find what makes you feel good. We recommend comfortable, soft clothing. It’s a good idea to wear or bring layers, such as: socks, a light jacket or wrap. Bring your own mat if you have one, if not, we have a few loaners. We also have blocks, bolsters, knee pads and straps. 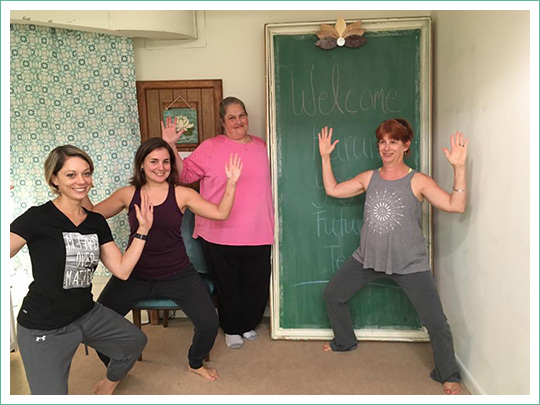 Donation classes are provided by our studio so yoga is available for everyone in our commUNITY. If you can pay (cash or check), please do. If you cannot pay, please come – we welcome you. Once a month, the donations are given to a specified charity. Otherwise, we use the donations to support the studio. Door is locked 5 minutes after class start time. If you are new, come early and introduce yourself to the teacher – let them know about any concerns, health conditions or injuries you are experiencing. Silence your cell phone or place on vibrate if you are expecting a life changing call. Everyone is welcome at our studio, if you experience anything that is offensive, please tell a staff member. If you do not feel safe driving, you should stay home and enjoy your life in your comfy pjs! For class, appointment or enrollment cancellations, please check our branded App, Website or Facebook. We will update with any schedule changes, typically one hour prior. After the weather clears, life will go on as planned. If you need to leave class early, please leave prior to relaxation and create as little disturbance as possible. Meditation is a practice done at the end of some of our classes in which you train your mind to realize some benefit or to acknowledge the mind’s content without becoming identified with that content. 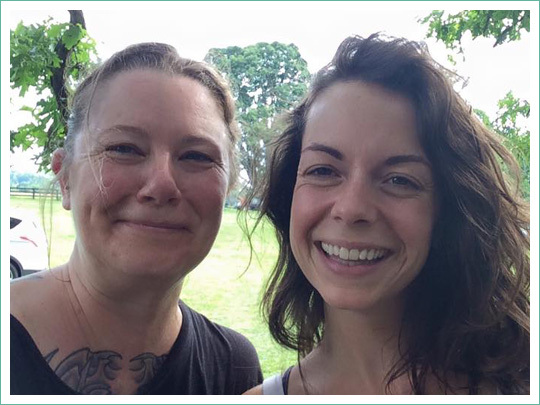 Welcoming and such positive energy…Rebecca your classes – and all the varieties you offer have helped me discover many forms of exercise that I now can say I practice! Absolutely enjoying my journey and every visit to Pranapiloga.